It is very possible to clean, and also renew a clogged septic leach area instead of replacing the septic field lines and d-boxes. The formation of a biomat may also need to be addresed and taken care of. 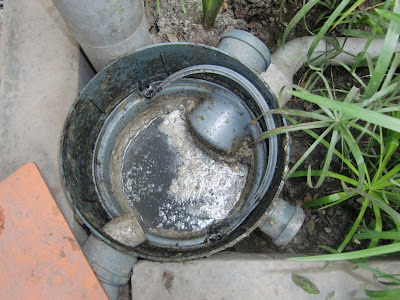 It may behoove a homeowner having problems with their leach fields, or a clogged outlet pipe from the tank, to have a digital video camera inspection done first to see what is really going on with their leach field, distribution boxes and outlet pipe leaving the septic tank outvert opening. Take into consideration using a drain field septic system jetter to clean the septic leach field and associated lines. A sewage system jetter could help you scrub away sticky sludge and also clear out filthy residue to assist in and minimize the demand for additional cleaning or snaking of the lines. Powering the septic line jetter with a pressure washer rated 2.5 gallons per minute to 4.5 gallons per minute, can make the task a lot easier, considering that septic sludge could take a considerable amount of pressure to scrub, as well as eliminate all grease and other types of organic waste clinging to the inside walls or the septic pipe. Please think about utilizing an optional super-high pressure jetting nozzle to boost flushing as well as scrubbing force, particularly if the septic sludge must be flushed out over a long distance of Schedule 40 septic pipe. It's normally suggested to find and subject with digging the downhill end of each septic line, excavating a big sufficient hole under each end for the sludge to spurt and also accumulate as you clean up the opened up line. An additional septic line jetting approach is to locate and expose the distribution box, and later on in the process, feed the hydro-jetter manually into each line that exits throughout the septic drain fields. Nonetheless, it's much harder to thoroughly flush the sludge uphill toward the opened up distribution box. Because of this, your septic line jetting contractor will normally need to drain and remove the excess waste and liquified sludge that flows back into the d-box. Possible Tree Root Problems: If you think that there could be tree roots growing into the septic leach area and or pipes, there are posssible solutions. If there are many fine tree roots, you may need to chop up the tree root origins with the sewer jetter, and then take out the long strings of roots by hand, or by utilizing a leased mechanical drum auger, or special drain snake that has a specially designed cutting blade. If there are larger tree roots inside the line, you might need to start by using a mechanical septic line auger with a root cutting blade to eliminate the root system, and afterwards flush the line with the sewage system jetter to remove the septic sludge. Place on liquid resistant work handwear gloves, and also safety glasses. Usage extra care if you think the drainpipe might contain drainpipe cleaning chemicals. Connect the drain cleaner to your trigger gun, start the pressure washing machine, and then guide the nozzle at the very least, a foot into the revealed drainpipe area opening before you begin the circulation of water. Guide the septic system jetter right into the line as you press the trigger. For more comprehensive cleansing, every couple of feet pull back around midway and after that continue moving on. After you have actually completed cleaning the septic line, remove the hydro jetting tool from inside the pipe. Use special care when releasing the trigger when shutting down the flow of high pressure water, just before the spray nozzle head nears the pipe outlet. If you don't feel comfortable using a high pressure jetting tool yourself, then hiring a reliable septic line jetting company may be the safest and most economical way to go. If you are unable to find a good referral from somebody you know, search regional directory sites like Google Maps, Yelp as well as CitySearch for service business close by that have excellent online testimonials. Don't always depend on reviews from individuals who have published very few, or from individuals who offer only favorable testimonials to everyone. Realize that credible septic pipe jetting businesses will sometimes have a small number of adverse reviews for factors that might not be relevant to your circumstance orr needs. Look for a company with several Google Plus reviews that provide a favorable and credible experience about repair work that is very similar to your own. After you find septic line jetting companies that seem to have a great deal of credibility, search online for their company name, as well as the names of other individuals working at the company. Consider both the positive, and also negative online reviews that you find online regarding the septic pipe cleaning business. Word of mouth is also a very valuable tool when trying to locate a reliable leach field jetting service in your local area. The only other option would be to start your own septic jetting business but be prepared to dish out some serious green to get it going! Realize that highly recommended septic jetting companies have a backlog of a number of days during peak times when there are sub-zero temperatures present, heavy rains and high ground water levels, or during the holiday season. Even though you may have to wait a bit, it may be worth it, as septic hydro-jetting contractors that are very busy, will usually have a very good reputation, and do very professional work, with few if any callbacks. Check out more on septic systems and septic line cleaning and jetting on our YouTube channel here.